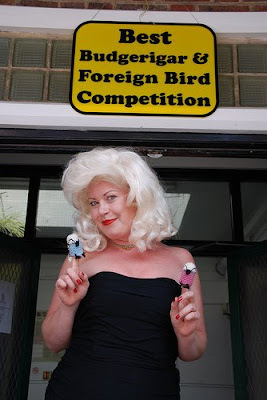 JAYNE MANSFIELD PLAYED WITH OUR BUDGIES. ....and here, finally is the picture we have been waiting for. Jayne Mansfield with Rosemary's crocheted budgies. 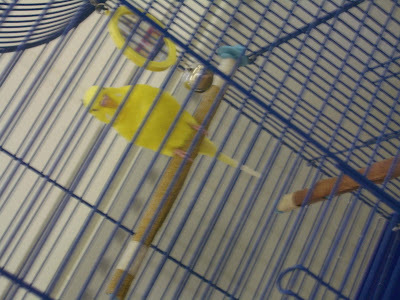 We did not get a prize because our birds didn't fly, but this budgie above did. And Jayne Mansfield smelt nice.